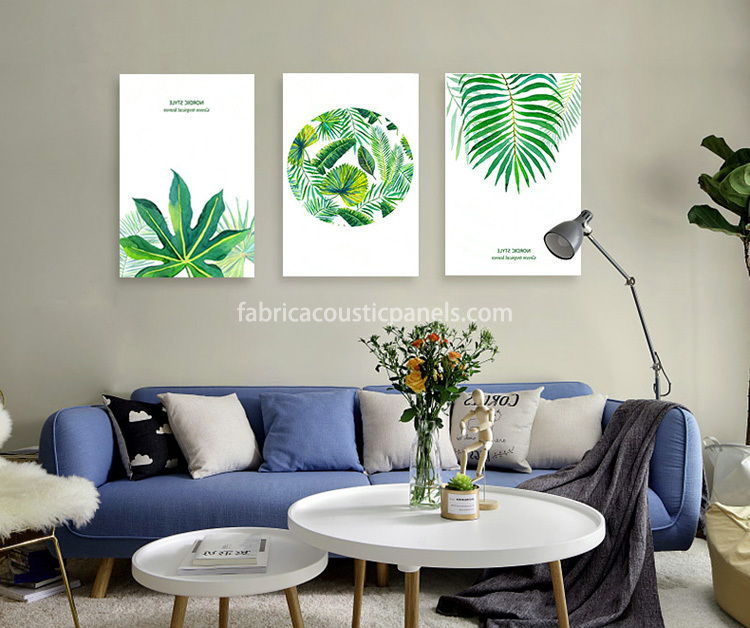 You must have seen fabric wall hangings in rectangle panel shape with printed artwork in coffee shops, restaurants, hotel halls, etc. 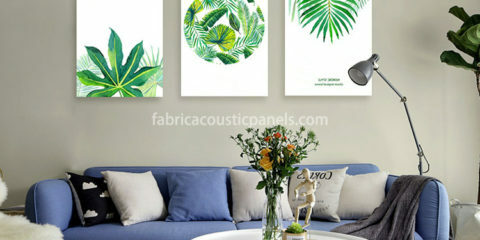 Of course, they look good, but what if fabric wall hanging panels could absorb noise, that would be better. Noise is a common problem in almost any workplace, such as in office and in industrial environments. Talking colleagues, ringtones, elevator sounds and computer noise can cause disturbances, interrupt communications, and interfere with daily work processes. Sound dampening wall hangings could be a solution. In industrial environments, loud noise machines can cause hearing loss and interfere with communication between production plants. Sometimes people in the offices can even hear loud noise from their workshop. Noise should be reduced in the workplace to prevent damaging and harmful effects of noise. Apply simple acoustics to rooms, office buildings or industrial environments can solve the problem. 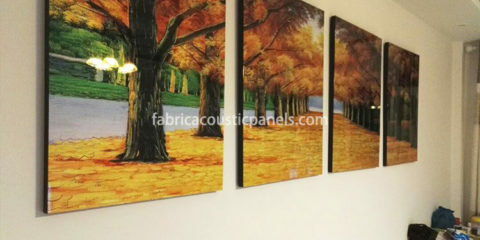 Our art fabric wall hangings look similar to traditional wall hanging panels, but they are different inside. 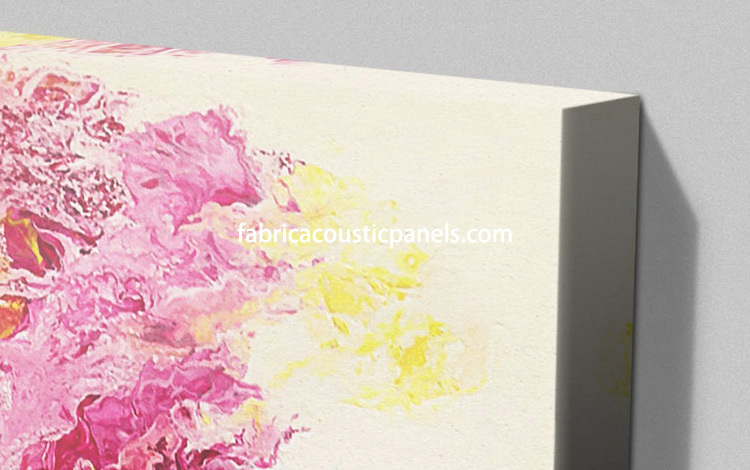 With sound absorption glass wool inside, they are also acoustic panels. While different solutions are appropriate in different situations, there are many ways to reduce noise and improve acoustics. First, use normal wall hanging fabric panels with plain color to an open office or call center will absorb unwanted noise to help achieve a comfortable sound level. Second, if possible, use art fabric panels for wall hangings in the office environment can provide noise control and esthetically pleasing appearance for any setting. 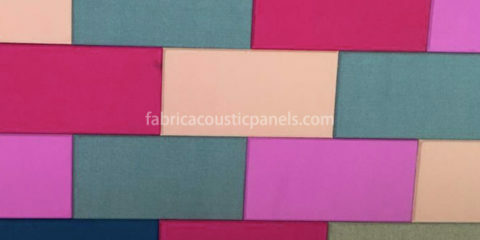 Sound absorption acoustic ceiling board is suitable for the standard ceiling grid system and is an easy way to enhance the acoustic quality of the room if you don’t want install fabric wall hangings. 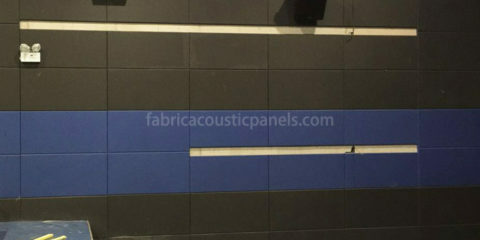 Our fabric acoustic wall panels is the most popular way to correct acoustic problems and is ideal for cinema, classrooms, offices, worship centers, restaurants, hotel lobbies, home theater, recording studios, etc.